I’ve recorded a screencast during the Anatomy of a Ruby Gem meetup in New York. It’s a deep dive into Grape internals. There was also someone who recorded a video of the talk, but it may be a bit hard to read. 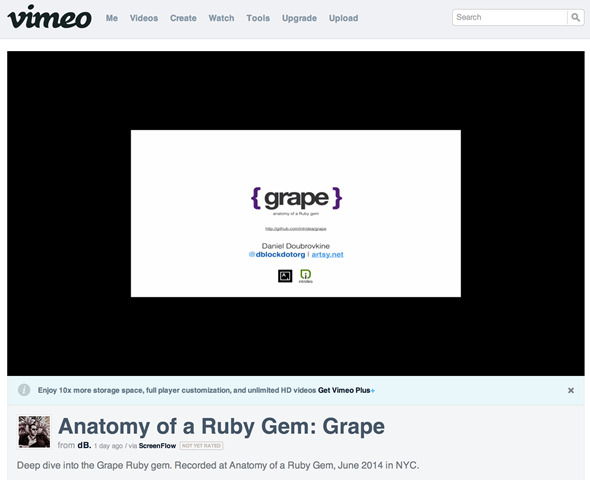 Anatomy of a Ruby Gem: Grape was published on June 23, 2014 . See a typo?